Our Belated Response to the Sikyong's "Ten Questions"
The August 2013 interview addressed a number of topics that are of interest to the electorate. The Sikyong gave lengthy responses, laying out the policy of his administration and its reasons. This sort of in-depth, systematic discussion is a positive step toward transparency and engaging the electorate in a real discussion on some important issues. As the volunteer editors of The Tibetan Political Review, it would be inappropriate not to state our appreciation that the Sikyong addressed several important issues that we have raised in the past: (1) gender equality and gender violence; (2) the question of whether eligible Tibetan refugees should assert Indian citizenship; and (3) the Sikyong’s re-interpretation of “genuine autonomy” to abandon democracy and accept Chinese Communist Party rule for Tibet. As a small, all-volunteer website, we may have been somewhat remiss in not expressing this acknowledgement sooner. We do so now, and, in the spirit of constructive discussion we offer the following additional thoughts on these topics, which include both agreement and differences of opinion. The Sikyong made a welcome commitment to the principle of gender equality. He recognized that the administration still has a way to go in terms of equal representation, which is a realistic assessment that shows a certain non-defensiveness. One could quibble over Mr. Sangay’s claim that the inclusion of two female Kalons represents “progress”, since the 10th Kashag from 1993-1996 also included two women, but overall it is a welcome development that the administration made an unequivocal commitment to promoting gender equality. As far as putting this stated commitment into practice, we recommend “Reaching for the Sky: A Solution to Gender Equality”, by Tenzin Palkyi and Tenzin Dickyi.<FN4> This article lays out some important deficiencies in the administration’s Women’s Empowerment Policy, which can hopefully be addressed going forward. Regarding the Sikyong’s statement on the gender violence in Tenzingang in June 2011, Mr. Sangay called it a “most unfortunate case” but added that it happened two months before his administration took office. He noted that his Home Minister, Dolma Gyari, is promoting “gender sensitization” in the Tibetan settlements. That was the extent of the discussion. The Tenzingang case was more than “unfortunate”. It was horrendous. TPR has already written about this case, so there is no need to again recount the vicious attack nor the blatantly unfair way the victim was treated compared to the man.<FN5> The Tibetan Women’s Association report on this incident suggests that the CTA Home Ministry was involved in overseeing the Tenzingang settlement officer’s shameful handling of this case even after Mr. Sangay took office, and the new administration certainly had several missed opportunities to revisit this case. As TPR’s editorial noted, the facts suggest either the Sangay administration’s “abdication of responsibility, or its consent to the outcome”. In September 2011, the Tibetan Parliament-in-exile called on the Kashag (Cabinet) to ensure the effective enforcement of the host country’s laws on dealing with any forms of violence against women, and to issue new guidelines to the settlement officers aimed at protecting women’s rights and submit it to Parliament, with a deadline of March 2012. It is deeply disappointing that the administration has still not fulfilled this mandate over two years later. On the other hand, the August 2013 sexual assault on a minor in Mungod was condemned much more forcefully by the Home Minister.<FN6> And in October 2013, the Sikyong finally condemned the Tenzingang assault.<FN7> Perhaps this is a sign that the administration will belatedly take a more active stance against gender violence? Mr. Sangay explained clearly in his August interview that his administration believes that the “decision to apply for Indian or any other country’s citizenship is a personal choice”. This is a welcome change from the past, when the Tibetan government-in-exile exhibited an informal disapproval of eligible Tibetans asserting Indian citizenship. 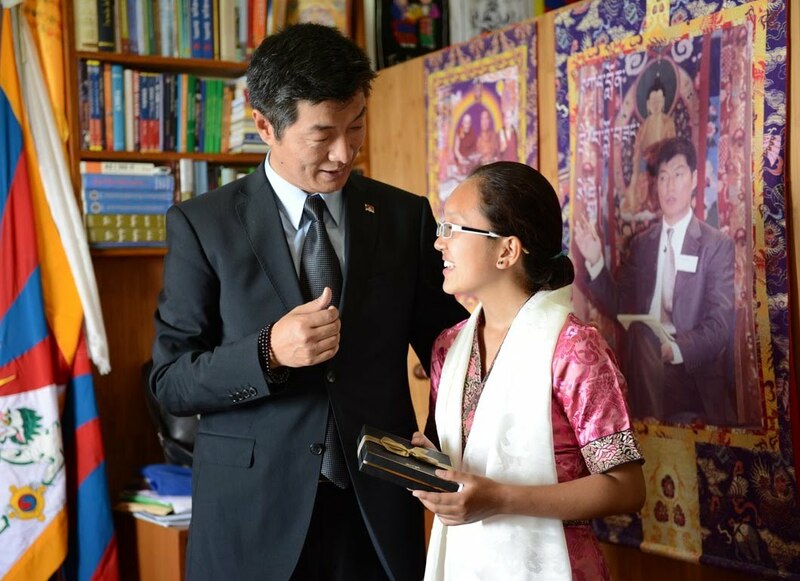 For example, Mr. Sangay stated that his administration has granted all 14 requests for the “No Objection Certificates” that the Indian authorities require for eligible Tibetans seeking to invoke their right to Indian citizenship. Oddly, however, Mr. Sangay once again mistook the legal process for eligible Tibetans asserting their Indian citizenship rights. Tibetans born in India between January 26, 1950 and July 1, 1987 are automatically Indian citizens. Citizenship is not something they have to “apply” for; they only have to prove certain facts. Mischaracterizing this as “applying” for a new citizenship might have the consequence of discouraging some Tibetans who do not want to betray their Tibetan identity. The fact is, the law says that Indian citizenship is already theirs. The Tibetan administration also seems to be maintaining unequal treatment for Tibetans on Indian versus Western citizenship. While the administration claims to take no position (neither for nor against) on Tibetans asserting Indian citizenship, Mr. Sangay spoke very positively about the Canada Tibetan resettlement program. He even described the active involvement of the Tibetan exile authorities (the Canadian project was started in 2007 and is run by an NGO in Canada). This suggests that there remains a bit of a double-standard. 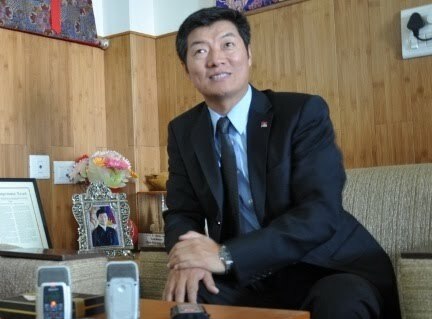 Mr. Sangay’s interview does not address the key concern raised in TPR’s editorial on this issue.<FN8> We believe it is an unaffordable luxury for the Tibetan government-in-exile to remain agnostic about eligible Tibetans asserting Indian citizenship. Actively promoting this path might be the best way to provide for the Tibetan exile community’s -- and the Tibetan government-in-exile’s -- long-term security in India. If Mr. Sangay believes differently then perhaps he could explain his thinking, but the issue of long-term security simply cannot be ignored. The Sikyong’s August interview incorrectly asserted that there is “no divergence between my comments and the long-held official CTA position”. As described in TPR’s editorial, however, there are major divergences.<FN11> It is simply incorrect to suggest that the Memorandum and Note abandon democracy and accept Chinese Communist Party rule, unlimited militarization, and a limited duration. The Memorandum and Note are very careful in their wording. While they do not use the word “democracy”, they also do not abandon it as Mr. Sangay did. The Memorandum calls for “the right of Tibetans to create their own regional government and government institutions and processes”, which certainly is consistent with democracy. The Note says it does not “challenge the socialist system of the PRC … [or] demand its exclusion from Tibetan areas”, but not excluding the overall Chinese socialist system from Tibet is far different than allowing the Communist Party unfettered rule in Tibet. And it must be remembered that the Memorandum and Note grew out of the Middle Way as originally envisioned by His Holiness, which proposes Tibet as a “self-governing democratic political entity.”<FN12> Unfortunately, Mr. Sangay’s re-interpretation of “genuine autonomy” eviscerates this goal. Given all this, it would be reasonable to worry that foreign supporters and governments may become concerned that the Tibetan cause is heading in a troubling direction. In fact, we believe that some governments, organizations, and individuals who currently support the Middle Way will likely begin to question the Sikyong’s abandonment of democracy and acceptance of Communist Party rule. Speaker Tsering could hardly have made a stronger endorsement of democracy for Tibet. It is regrettable that a universal principle such as democracy could even be in question at all, but the Speaker’s stance is welcome. Clearly, there is an ongoing debate among Middle Way supporters about the contours of such a policy, and about how many concessions to China are too much. We encourage all Tibetans to consider how the administration has re-interpreted “genuine autonomy” in their name and in the name of the six million Tibetan people in occupied Tibet.